Unless you’ve visited a Ram dealership lately, you may not know that FCA’s profitable truck brand is selling the previous generation Ram 1500 alongside its redesigned successor. Dubbed the Ram 1500 Classic, the purpose was to maximize sales in the long-running full-size pickup truck war against Chevrolet and Ford. This strategy is paying off as J.D. Power sales reports claim that nearly a third of Ram’s truck sales in the first quarter of this year consisted of the previous-gen 1500. Dealerships are loving the fact they have two trucks to sell, one of which can be marketed as a bargain of sorts. Automotive News spoke to some dealerships who are greatly benefiting from the 1500 Classic. For example, one dealer owner said the Classic provided much-needed sales support during the generational change over at the end of last year. Typically, sales and revenue take a hit during a model switchover year due to limited supplies. The Classic, however, easily fills that void. And there’s another factor helping Ram dealers: bargain shoppers. We’ve reported several times before about increasing truck prices, especially in the full-size segment. It’s almost becoming a given that a fully-loaded full-size pickup can easily sell for well over $60,000. Average income in the US last year: around $35,000. 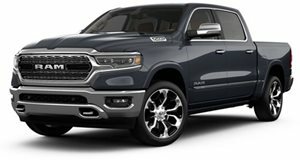 The 2019 Ram 1500 Classic bases at $42,845 and there are currently attractive rebate offers up to $10,000. In the case of one Pennsylvania Ram dealer, the Classic accounts for around ten of the 40 Ram trucks it sells per month. There is a downside to the Classic, however. It lacks many of its successor’s bells and whistles and anyone who has experienced the all-new 1500 can immediately acknowledge the huge leap in luxury, refinement, and premium features. But still, not all buyers can or even want to pay that premium. Ram rightly predicted this and it’s also managing to keep owners looking to replace their old trucks from shopping elsewhere. But the question remains: how much longer will the Ram 1500 Classic stick around? Ram hasn't announced anything as of yet, but some dealerships predict Classic sales will be down by the end of the year.